Canadian and German (-speaking) culture have been tightly interwoven for a long time. Canada, with its geographical vastness and its liberal, open-minded position towards immigration, has long been a desired destination for Germans and not just in recent years. German immigration to Canada can be traced back to long before the foundation of the Confederation 150 years ago. A significant increase of immigration can be found in the post-war period. Many Germans went to the Waterloo region. German heritage has been concentrated for a long time in the city of Kitchener (formerly Berlin). For example, the largest Oktoberfest in North America takes place there. In 2013, members of the German-Canadian community in Waterloo reached out to the Centre for German Studies at the University of Waterloo with the idea for a research project regarding German immigration. The object of the oral history project was to document the life stories of German-speaking immigrants to Canada, especially in the Waterloo region, recorded in the form of biographical interviews. Between October 2013 to March 2015, 129 Canadians with German origins were interviewed to create a book and a web archive for researchers. The project focuses on first and second generation immigrants and comprises a timespan from the 1930s to the early years of the 21st century, with an emphasis on the post-war era and the 1950s. The reasons for immigration are, as evident in the interviews, very diverse. Mr. Schulze, why did you decide on the complex method of oral history for the project? First, I would not call oral history “a method.” Rather we chose the term as a label. When the community members approached us and asked us to write a book about the history of German immigration to the Waterloo region, we immediately thought about interviews as method. Biographical interviews simply fit best for our plan to obtain diverse information about the life stories of people. We wanted them to speak as freely as possible. Therefore, we chose a variety of subjects that should be covered by the interviews, i.e. childhood and origin, education, work etc. We did not ask specific questions though; that would have been too restrictive and did not fit into our concept. What was the objective of the project? What were your results or was there a main conclusion? The project was initiated by the community. The people approached us and asked us to write a book. The history of immigration in this region is very interesting, and they feared that a lot of invaluable information would soon be lost, as people who immigrated after the war were getting older. This was how the research project was born. The book was not primarily meant as a contribution to the scientific discourse but as a document with up-to-date scientific results for people who told us their stories. To me, one of the main results – and that confirmed the hypothesis I had – was that the group of German-speaking immigrants is very heterogeneous. They immigrated at various times, belong to different social classes, and have various professions. © Germanic Department University of Waterloo The majority of German-speaking immigrants arrived soon after the war and was part of those populations in Europe that were affected by exodus and persecution as a result of the war. In 1947, they had the possibility to come to Canada as “displaced persons”. Many German-speakers did not emigrate from the German “Reich” but from certain German-speaking regions in Romania, Poland and the Balkan region. Most of these Danube Swabians, Transylvanian Saxons, Sudeten Germans and other groups had sought refuge in Germany before. Coming from rural regions, they usually went to rural regions in Germany. Many of them told us, that they felt more welcome and accepted in Canada. How would you explain that? Why did their integration in Canada worked out so well? Oh, that’s very complex. 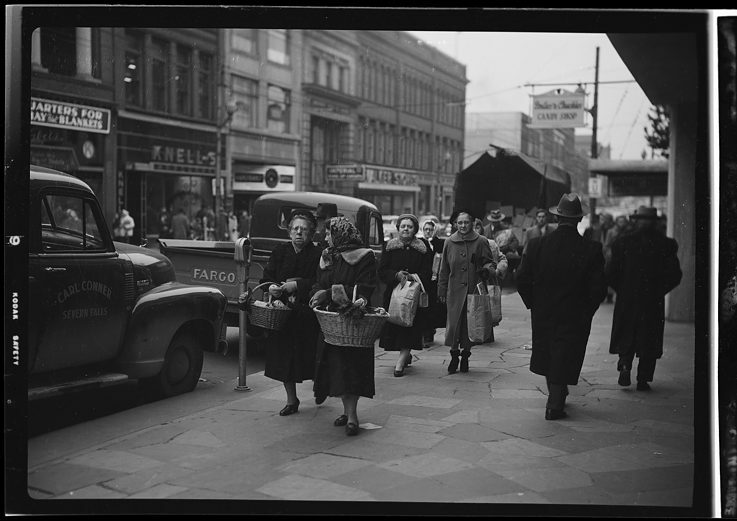 The fact that the German immigrants felt more at ease in Canada than in post-war Germany may be explained with the precarious economic situation in Germany. If one is not doing well, one is less willing to welcome and include foreigners. Canada and especially the Waterloo region have a long history of immigration. 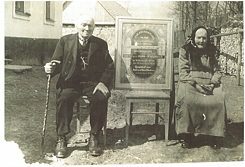 Around 1800, the first German-speaking Mennonites came to the region. Since 1830 they have been arriving directly from Europe. The people who came after the Second World War and who had traumatic experiences were very willing to learn English. I would almost say that it was gratitude that made them learn English. Many families still speak German but English becomes the dominant language over time. After traumatic experiences, even if one did not experience them oneself, the desire to fit in and be part of the Canadian society is often profound. Aurelia Ohlendorf studies Russian, History and Economics at the University of Tübingen (Germany). She interned at the Goethe-Institut Toronto from January to April 2017.